This summer we spent some time at Greenwood Cemetery. Leaving the cemetery from the non-Wal-Mart side, we turned right and we immediately surprised to see that there was another cemetery just next to Greenwood — one that seemed considerably less manicured (upon closer inspection, downright destroyed and dilapidated). The one of us who is from Alabama called it immediately. “This must be the black cemetery,” he said. “It’s such an Alabama metaphor – right on the other side of the kept-up and swept-up thing, there is another less cared for and less publicized part for the folks who aren’t white.” And it’s true. Greenwood is the final resting place of former governors and beloved football broadcasters. Lincoln is home to a bunch of unmarked and crumbling slabs of marble, overgrown with weeds and marked by erosion and the occasional open grave. We took a lot of pictures and wandered around the devastation for some time, saddened and astonished by the contrast with the clean-lined and deeply manicured array of memorials and graves on display just next door. We were shocked at how hard it was to find out who owned Lincoln Cemetery. 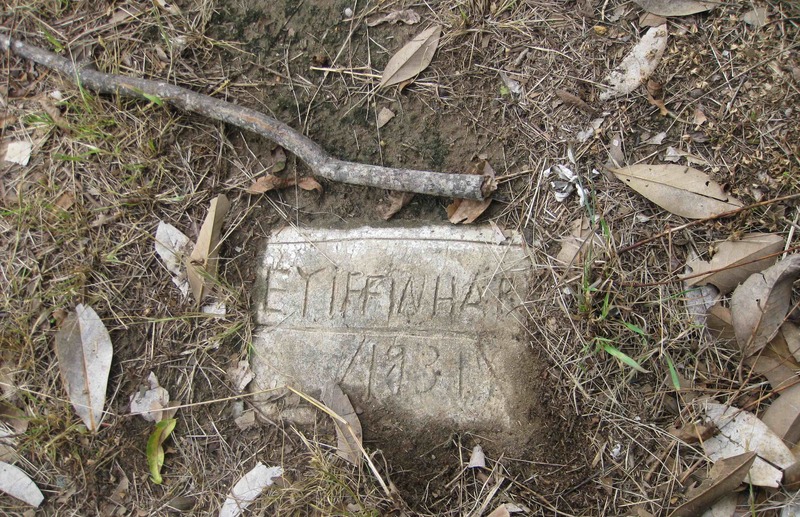 We saw two old WSFA stories on the place (they are archived here and here), which basically told us what we already knew from being on the property – that it was a shameful, awful mess where burials continued to happen despite a lack of care for the site. No information was given by WSFA on whose fault this was or how they could be fined and/or imprisoned. Which is why we were so heartened to see the Advertiser run a long Lincoln Cemetery piece on February 16th. You can read the story on their site here, or here (PDF warning). Jill Nolin really did a nice job of trying to figure out what is going on over at the cemetery, and concerned citizens owe it to themselves to read her full account. It’s pretty crazy that after all the reporting Jill did we still don’t know who owns the cemetery. It seems like the current owner may be either Frederick Berrey or Bobby Cheney, or both. Lloyd Geeslin, who could not be located but whose name is listed as owner on the nomination form for the Alaba­ma Register of Landmarks and Heritage in 1999, could not be located. Her article did raise enough awareness and outrage, it seems, to prompt a cease-and-desist order for burials at the cemetery and a big clean-up effort. But there’s controversy about the order, as it was issued based on Lincoln’s failure to keep detailed burial records and there are a number of other cemeteries in the city with similarly inadequate records. Yesterday’s Advertiser details the controversy in this article by Lauren Bowar. This is a very sad story. We’re not saying that every cemetery should be super manicured; on the contrary, sometimes we think that America spends a lot more money on the dead than it should. But the racial disparity between the two adjacent cemeteries is shocking, especially since it seems like the case could be made that they are both historic and worth preservation. If the city can’t find out who owns Lincoln, it owes a duty to the public to take responsibility for the property and keep it up. This entry was posted in Montgomery ephemera, Montgomery history and tagged history, Lincoln Cemetery, montgomery, preservation, race. Bookmark the permalink. David at the top.This is a dump for many people time forgot. Please visit the facebook page Lincoln Cemetery in Montgomery. It does not look like that anymore and it is not forgotten! I feel sick knowing this I had a baby buried here 30 years ago when I was,only 17. The father and I cannot even find the headstone that was placed. Do you know how painful this is not knowing where exactly you laid your son any more. I hear there are still problems with Lincoln Cemetery- no one to keep the grass cut and so on. Please contact me if you’re interested in someone who will – instead of someone who won’t. Gas for equipment would be a great incentive – and a little pay would be even GREATER. There was a renewed flurry of news coverage in 2012, including a report on NPR. Bobby Cheney was finally determined to be the owner. Here’s a May 2014 update from the Advertiser.